She has vowed to stay on, despite her local Labour's vote of no-confidence. But could Kate Hoey become the next Conservative leader? Some MPs seem to have made it their goal to become the hardest hard Brexiteer Britain has ever seen. Most, however, are Conservative backbenchers. People like Jacob Rees-Mogg, David Davis, or Boris Johnson. But one particularly hard Brexiteer sits among the Labour benches – Vauxhall MP Kate Hoey. But unlike Rees-Mogg’s, Davis’ and Johnson’s constituencies, south London’s Vauxhall was a predominantly Remain voting area (only 22% of voters supporter Leave). Hoey, however, has not let either Labour party whip or her constituents stop her from supporting a hard Brexit. She voted alongside likeminded Tories in June’s much heated Brexit Bill debate. Now, Another Europe is Possible activists have targeted the beleaguered MP with a mock campaign calling for Hoey to be elected the new leader of the Conservative Party. Posters for the campaign also popped up around Oval tube station, which is situated within Hoey’s constituency. “I honestly cannot fathom why Kate Hoey is either in the Labour Party or the MP for Vauxhall. “She doesn’t respect local constituents’ wishes, who overwhelmingly back the rights of migrants and Britain’s membership of the EU. She won’t respect – and will barely engage with – the views of local members, who have repeatedly asked her to take basic steps to oppose Tory policies. 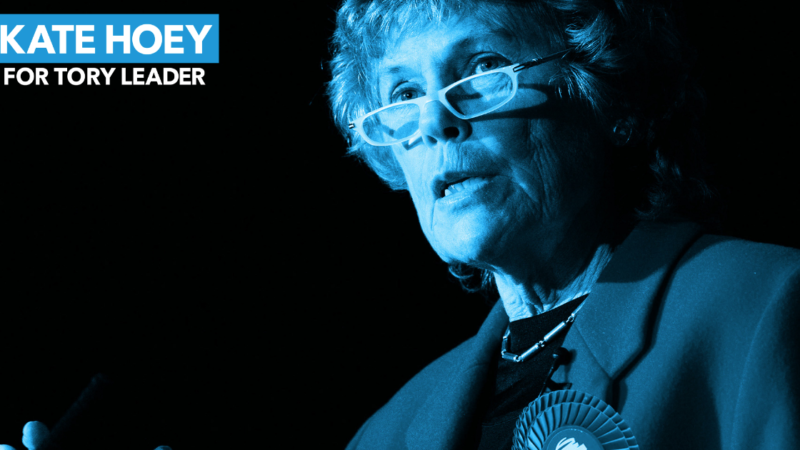 Hoey has said she will fight moves to deselect her, arguably relying on her 20,250 majority to stay put.